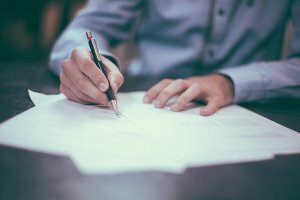 In estate planning, there are times when writing a will is not enough and you have to consider a testamentary discretionary trust. Writing a will is an important step in planning for the unknowable and the inevitable. Having a will is practical if you have any amount of wealth or final wishes you would like to be dispensed. However, the more wealth you accumulate, the more complex your affairs become and the more inheritors you’d like to include, the more you may need to think about a customised estate planning solution. In general, a trust describes an ownership structure where the assets of the trust are owned by one person or organisation (the trustee) but held for the benefit of other individuals or organisations (the beneficiaries). it’s possible to have trusts with different provisions which can be tailored to the needs of your beneficiaries. While the trustee of the trust is usually nominated by the Willmaker, the Willmaker can also give the primary beneficiary of the trust the power to appoint the trustee. The trustee has the discretion to distribute capital and income in the same or differing proportions between a group of beneficiaries nominated in your Will. The trustee may also have the ability to wind up the trust at any time. What are the benefits of a Testamentary Discretionary Trust? The trustee has the discretion to distribute capital and income to any nominated beneficiary at any time and in any proportion. The trust can be wound up at any time or kept open for an extended period of time. A testamentary discretionary trust gives the beneficiaries both flexibility and control over when and how they receive their inheritance. As the assetsare not legally owned by the beneficiaries, they have a far greater level of protection from legal proceedings arising from marriage or relationship breakdown or bankruptcy. A testamentary trust legally separates the inherited assets from the personal assets of the beneficiaries. Taxable income generated by the trust can be allocated to the beneficiaries of the trust in a tax-effective manner. The beneficiaries pay income tax on their share of income according to their marginal tax rates. Unlike tax on income from a family trust, beneficiaries under 18 years of age are taxed at normal adult rates rather than at penalty tax rates. The potential for tax savings when trust income is allocated to children, therefore, may be substantial. 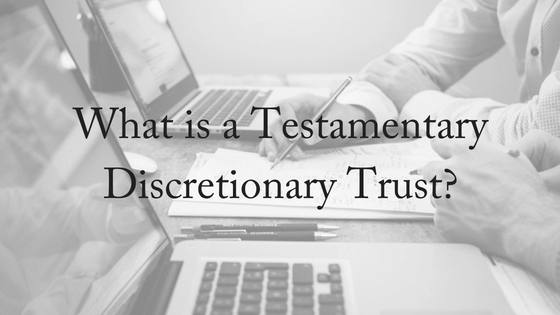 Do you need a Testamentary Discretionary Trust? It depends on what you are trying to achieve because one size does not fit all. Your circumstances will dictate whether you need one or not, and it should be drafted to deal with your specific needs and expectations. Neither is it a set-and-forget document. You should review a testamentary discretionary trust regularly and update it as your circumstances change: the birth of children or grandchildren, the acquisition or disposal of assets, divorce and other significant life events. If you’re considering establishing a trust, make sure you appoint a trustworthy trustee. People in control of other people’s money may be dishonest, whether they are the much trusted brother, friend or advisor. Much careful thought must be given to protecting the beneficiaries from dishonesty or even incompetence. In some cases, a testator may prefer to give the property absolutely and let the beneficiary deal with it, whatever that means. A testamentary trust can be very beneficial and gives you greater control, flexibility and protection than an ordinary will might. Because they can be complex, it’s important to see an Accredited Specialist in Succession Law (wills and estates) to guide you through the process. Contact us today to find out more – we offer a FREE, 10-minute phone consultation – and every client receives the benefit of an Accredited Specialist’s advice.